A quick google search turns up lots of tweets, all of them from today. Searching Martin Luther King Jr. quote pages for the word “enemy” does not turn up this quote, only things that probably wouldn’t go over nearly so well, like “Love is the only force capable of transforming an enemy to a friend.” I’m pretty sure that this quote, too, is fake. What’s fascinating is the speed of it. 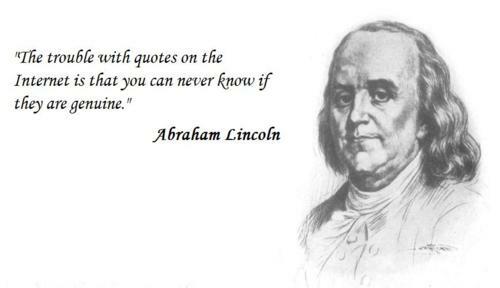 Someone made up a quote, attributed it to MLK jr, and disseminated it widely, all within 24 hours. Why? What do you get out of saying something pithy, and getting no credit for it? 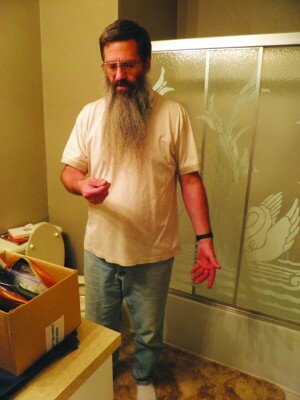 EAST WENATCHEE, Wash. – A teacher who vowed nearly 10 years ago not to cut his beard until Osama bin Laden was captured or proven dead said he cried Sunday night upon hearing of the terrorist’s death. “I spent my first five minutes crying and then I couldn’t get it off fast enough,” said Gary Weddle, 50, who lives in East Wenatchee but teaches middle school science in Ephrata. Weddle has wanted to cut his beard for years. His wife, Donita, has wanted him to cut it, too. But for Weddle a vow is a vow and so he hadn’t even trimmed it until Sunday night. 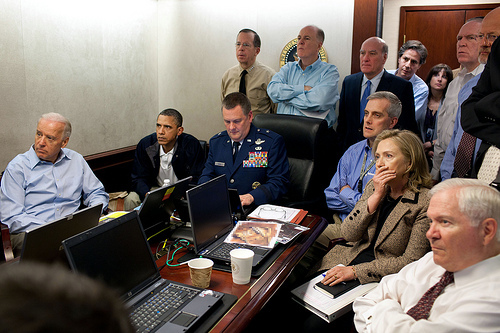 President Barack Obama and Vice President Joe Biden, along with members of the national security team, receive an update on the mission against Osama bin Laden in the Situation Room of the White House, May 1, 2011. Please note: a classified document seen in this photograph has been obscured. What followed was eight months of painstaking intelligence work, culminating in a helicopter assault by American military and intelligence operatives that ended in the death of Bin Laden on Sunday and concluded one of history’s most extensive and frustrating manhunts.